Michael Craden was a founding member of NEXUS. In addition to his skills as a musician, Michael was a gifted sculptor and painter with showings in Los Angeles and Toronto. Sadly, Michael passed away in 1982. 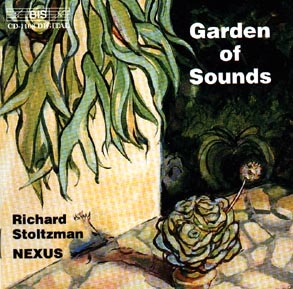 In February 2000, BIS Records released Garden of Sounds featuring clarinetist Richard Stoltzman and NEXUS, an entirely improvised recording that explores the sounds of the clarinet and the vast collection of NEXUS percussion instruments. The CD was dedicated to Toru Takemitsu, a friend and mentor of the artists, and the title of the CD was chosen as a tribute to him, as he referred to himself as a “gardener of sounds”. Thus, it made a great deal of sense to use Michael’s painting Garden Shadows for the cover – and it is an implicit tribute to Michael’s exceptional and memorable improvising skills. The Percussive Arts Society Hall of Fame member Emil Richards credits Craden as being “one of the forbearers of the free-form art movement of the early ’60s.” Inspired by Indian tabla rhythms, he experimented with numerical patterns, mathematical ratios, microtonal tuning, and rhythm, as it related to art. There does not appear to be any serious collection of Michael’s work, either online or in any one place. His work is scattered among the private collections of friends and family. 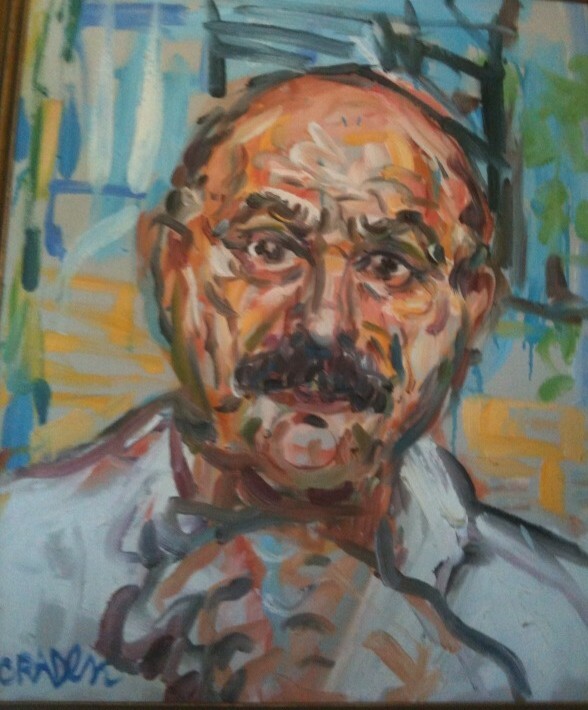 In the 1970s he painted a portrait of Toronto musician and friend Bernie Piltch. Bernie’s son David in California kindly sent me a photograph of it to share with you. Michael took me from an illustrative graduate of Ont.Coll.of Art, Toronto, to a serious painter after about 6 months of night sessions in drawing & painting at ‘3 SKULES’/Brunswick, Ave.TO. I had a tin ear for music but reverberated with his instruction in paint. Thanks for taking the time to comment about this, Ed! Michael was an amazing man, an amazing artist, on so many fronts. I will make sure the other NEXUS members see your comment, too. I’m an old friend of Michael’s from L.A. Artschool days. I have a small collection of his painting from those early times. Is anyone interested in seeing or having them? I will ask the NEXUS members! What a kind offer.